Percy Fox (1877-1939) came to Victoria from England in 1911 and worked briefly for Thomas Hooper before starting his own architectural practice in January 1912. In 1913 he formed a partnership with Ralph Berrill. He served as President of the Architectural Institute of British Columbia in 1928-29. He was the third architect to register with Architectural Institute of British Columbia when it was first formed. The first two were Andrew Lamb Mercer and Charles Elwood Watkins. Here is a partial listing of his projects. 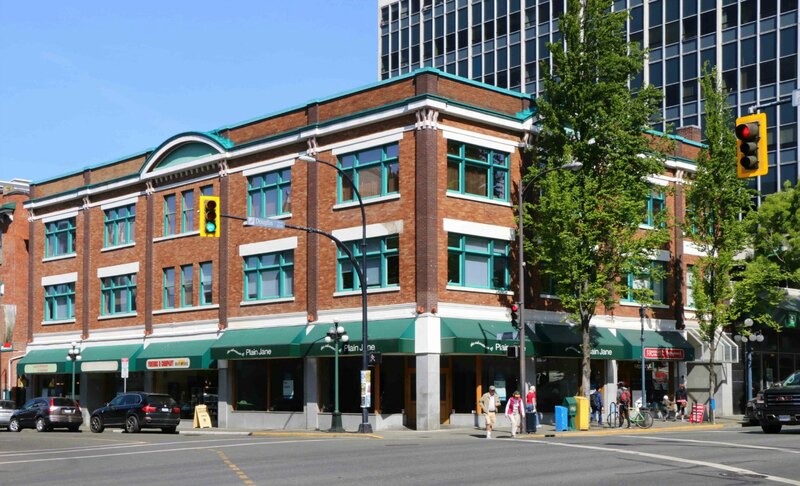 624 1/2 Fisgard Street (with Ralph Berrill), built in 1913 for Kong Sin Win. Listed on Canadian Register of Historic Places. The Harrowgate Apartments, 1203 Beach Drive, was built in 1929-30 and is the last remaining example of the early 20th century apartment buildings which once stood along Beach Drive.